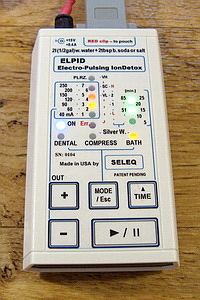 A new generation Complementary therapy Instrument, very simple & effective, ready to work Out-of-the-box. For only 20 min per day, or per week, it can help a significant improvement in the health and general condition, by foot / sitz bath / compress, plus Silver water and toot-treatment. 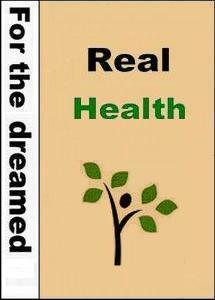 Does not depend on particular illnesses– can help almost everyone to be healthier and stronger. stimulates, vitalizes and rejuvenates body & mind. 4) to prepare high quality Silver water! ELPID can help Cleansing Kidneys, Liver, entire body; Relieving Allergies & Pain; Improving Metabolism, Immune System, Sleep, Energy level, Memory; Normalizing Blood Pressure, body weight, digestive system. It might be the small incentive, needed to overcome an "incurable" disease! It's very different from the commonly offered, priced up to $3k, cleanse, spa, chi, ionic, etc. footbath in brown-rusty water. Unlike them, it uses highly effective, active, harmless processes, in clear water. Compare. Intended for the Holistic-Integrative approach to health and wellness. 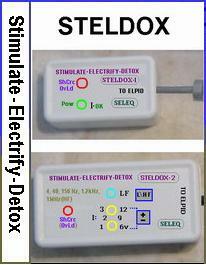 Very easy to use through Pad-electrodes, placed where needed on the skin (in a way, non disturbing other activities), or via the Polarizing electrode of ELPID. -Modifies toxins and metabolic wastes to less harmful substances. Universal, suitable for most people, with immediate and strong impact. The influence is due to the electric current itself, individual 8 frequencies, HF modulation, and to all them as a special combination. It can help in many allergies, arthritis, atherosclerosis, cramps, chronic fatigue, flue, hemorrhoids, Lyme, Morgellons, inflammations, osteoporosis, pain relief, rheumatism, tumors, some Alzheimer's, cancers, depressions, and many others. 6- special cable assembly for Elpid, with connector for Steldox. Included: 1; 2, 3, 4, manual. Incl. : 1; 2, 3, 4; 5, manual. Incl. : 1; 2, 3, 4; 6, manual. BEST OFFERS via email also can be considered. Shipment will be within 1 business day, after the payment is cleared, via USPS regular 1st class or Priority mail. Shipping is free, except $20 added as contribution to the International shipping. Sales tax (6%) will be added in purchases to Pennsylvania shipping addresses. International sales depend on the Availability of USPS Priority or 1st class to the destination. Buyer is responsible for all local duties and taxes. The relatively low price is due to the very simple, highly optimized design, and no expenses on unnecessary premises, machinery, staff, luxury, etc. The instruments are made in USA by SELEQ. On eBay SELEQ has constantly 100% positive feedback rating for many years! Questions, comments, special requirements, suggestions - seleq@seleq.org - will be answered in a few (usually 1-2) hours, 10:00 to 22:00 EST, every day, within 48 hours maximum. The Warranty is 3 years from the receiving, excluding accessories, improper usage, normal wear and tear, etc. In case of a problem, it has to be explained via email, and if necessary – the instrument to be sent to SELEQ. Repair or exchange will be within 1 day, plus the USPS shipping time. It will be honestly approved to be free of charge and shipping will be refunded, if reasonable. Returns are accepted 30 days from the receiving, for a full refund, excluding damages (if any); buyer pays return shipping. Disclaimer: These are experimental instruments for research, according to Federal Code 21, D, 807.65, (f), and can be used solely on user's own responsibility. The author is in no way liable for any unsuccessful treatment, failure due to lack of another treatment or any other reason. - Surprisingly, one 25 min bath with ELPID has fixed my long months blood-red toe-nail from unknown reason and an obstinate inflamation of another toe-nail. - The Elpid after two x 30 minute sessions has fixed my long years fungus infection and the Plantar fasciitis. - ELPID is a brilliant design, well made and very useful. After 20 minutes 'Bath' mode my tinnitus (noise in the ears) vanished (a huge, pleasant surprise) and my 'normal' pain in both ankles and knees was almost missing! - We are very satisfied from several instruments of SELEQ that have been working great in our company for over 25 years!